When you teach 400+ kids over the course of one week, it presents a few challenges. Keeping track of everyone's name can be tricky, let alone tracking progress and staying on top of behavior concerns. I rely on getting to know each of my 23 classroom teachers' individual rules and behavior system. But over the course of the day, I often forget who needs to pull a ticket, owe a card, color a smiley face, earn a sticker, etc. 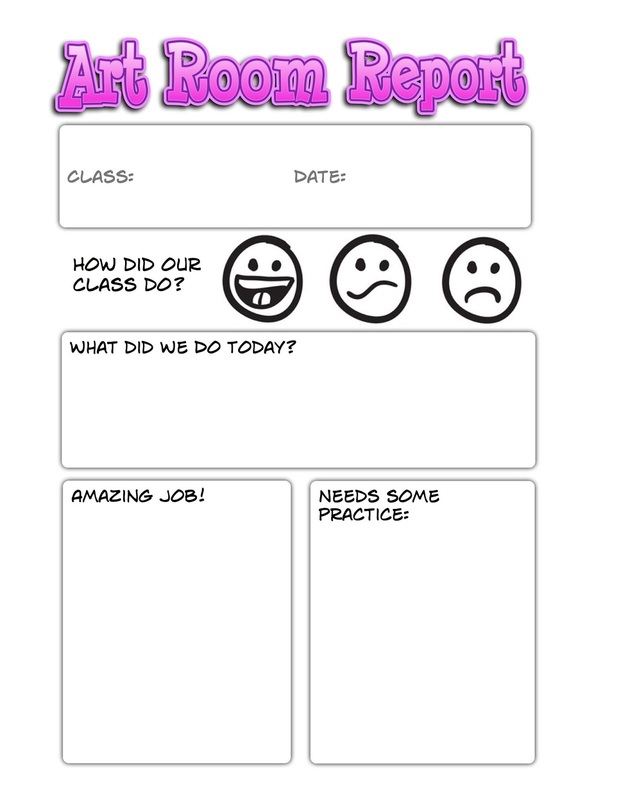 This year, I developed an "Art Report Card" for each class. 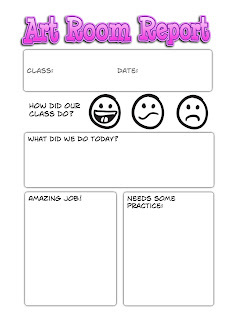 There is a space for reflection for the class, which helps remind me to add some closure to my lessons, there is a space for measuring whole-group success, and there are separate boxes to report successes and places where there may be room for improvement. The report is generic enough to be used K-5, but provides the classroom teacher with feedback that lets them see behavior trends for individual students and their class as a whole. It helps me see trends as well. If I am writing down "This class had trouble lining up in a hallway ready line" over and over, I know that I need to spend some time reviewing my expectations for line-up time. I'm hoping that this form will help keep me and my students on track this year!